Beauty is selfless and sweet, but when her dad steals from a beast in a castle, she happily leaves her two annoying sisters to go live with the beast in her father's place. Marie Leprince de Beaumont was a French governess living in England, who later became a popular children's author. 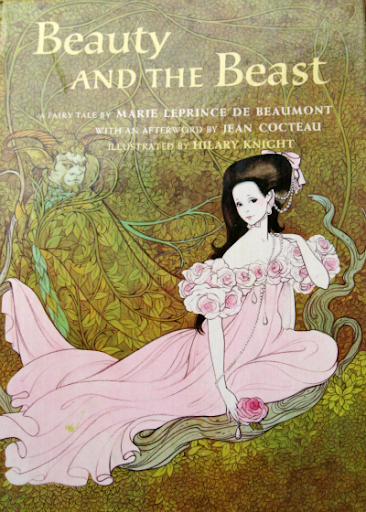 Her version of Beauty and the Beast is often credited as the original, but in fact it's simply an abridged, edited version of the original story by Gabrielle-Suzanne Barbot de Villeneuve. One gets the sense from reading Beaumont's version that she was into moralistic tales. First of all, Belle is the perfect daughter--from the perspective of a parent. She never starts fights with her sisters or complains, and she sacrifices herself for the good of her family. RME Then there's the Beast, whose main claim to monstrosity seems to be social awkwardness. "...every evening Beast paid her a visit, and talked to her during supper, very rationally, with plain good common sense, but never with what the world calls wit." Beauty, by the definition of this story, consists not just of physical attractiveness but charm and cleverness and social gracies, none of which the Beast has to tempt Belle. Eventually she gives him the dreaded You're a Good Friend speech. All of this would be fine if I didn't feel as if, in the end, Beaumont's Beauty and the Beast ends up supporting the idea that beauty is important. Sure, Beauty eventually falls in love with the Beast--AFTER he transforms into a charming prince. Before that he was good enough to be her "friend" (read: lapdog), but not good enough to marry. It's like those make-over movies I hate where the guy doesn't notice the girl is attractive until after she puts on make-up. Maybe if we'd gotten a peek into Belle's thoughts and knew her motivations for refusing the Beast, it wouldn't be so bad; but as it is, the takeaway message seems to be: yeah, you'd better be good-looking and fashionable and charming, or you're just not worthy of love. This was a quick read, but definitely not my favorite version of Beauty and the Beast. I am curious to read Villeneuve's version now, though.